On December 14, 2016, Stephen E. Fienberg passed away, but he has left an everlasting impact on the statistics community. Fienberg developed statistical methods that united the influences of data and statistical theory to improve science and public policy. He dedicated his career to applying statistics to prominent societal problems for deeper understandings and to affect change. His work resonated with many, and he was — and still is — known as a pioneering statistician across the globe. Dr. Fienberg received a PhD in statistics from Harvard University in 1968, after which he held several teaching positions before joining the faculty at Carnegie Mellon University in 1980. Fienberg was an exceptional educator and helped to cultivate a new generation of conscientious and dedicated scientists. In addition to his role as professor, Fienberg advanced the collaboration of computer science and statistics in CMU’s Machine Learning Department. He also held appointments in the Heinz College and Cylab, and co-directed The Living Analytics Research Centre at CMU. 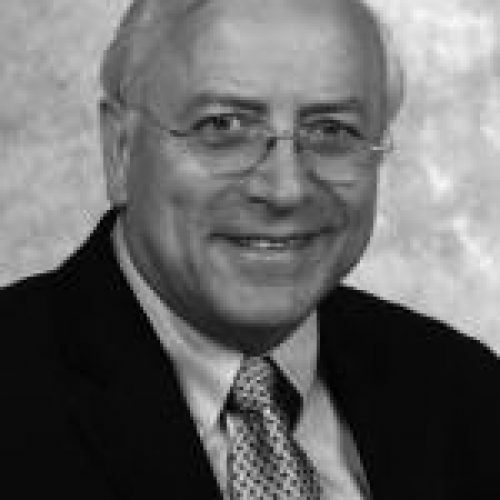 Fienberg focused his research in the forensic sciences for more than 40 years, and he wrote extensively on the use of statistics in civil and criminal legal proceedings. His research interests and experiences made him the ideal co-founder for CSAFE, which he helped spearhead in 2015 and served as co-director for until his passing in 2016. Along with CSAFE, he also contributed to the National Institute of Statistics Sciences, which honored him with the NISS Service Award in 2007 and the Jerry Sacks Award in 2015. He was a prominent researcher in the analysis of categorical data, networks, privacy protection, the history of statistics, statistics and the law, forensic science, and methodology for census taking and surveys. He shared his groundbreaking discoveries with the scientific community and practitioners through the authorship or editing of 20 books and the publication of 500 papers. In an interview with the American Statistical Foundation, Dr. Fienberg said his most important word of advice for individuals considering joining the field of statistics is “applications.” He explains, “While statistics has an intellectual core built around probability and inference, I have always drawn my inspiration from real-world problems arising in other disciplines, and that is, of course, where the data we analyze arise. Fienberg will be remembered as a talented scientist, motivating teacher and collaborative leader. The co-founders, partners and researchers of CSAFE are grateful for his substantial contribution to building a statistically sound foundation for the analysis of pattern and digital evidence. His commitment to the advancement of CSAFE initiatives in forensic science will live on.